Please note: You can choose any airport for departure. 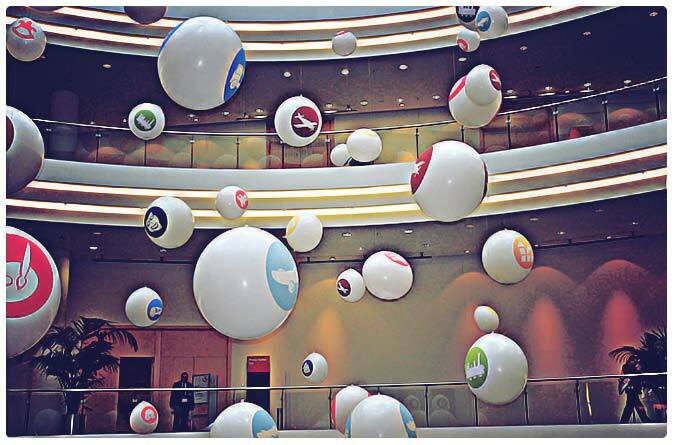 If you want, we will make the necessary arrangements for you. We are leaving Chicago late afternoon on our non-stop flight to Frankfurt (Munich). Cocktails and dinner will be served en route. One hour before landing they will serve breakfast. 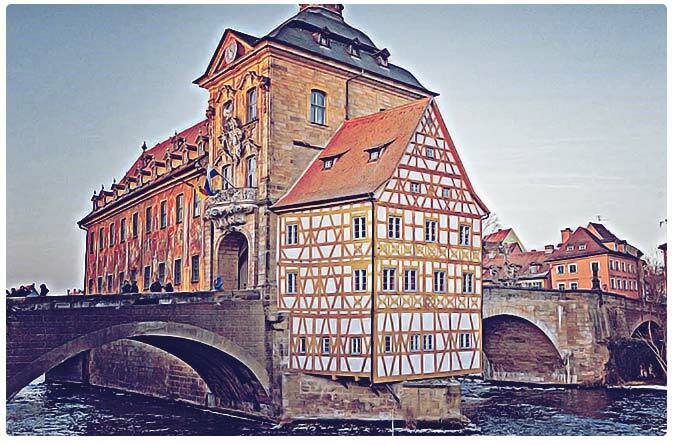 After checking through immigration and customs we will board our ride to Bamberg. After checking into the hotel the afternoon is free for your own activities. We are just 10 minutes away from the station, so you can walk over there for your train-watching. We will meet for dinner at 7:30 and probably call it a night after that. We start right away with The Highlight of the tour the ToyFair. For any individual that likes toys, trains, Christmas ornaments or any hobby related products this fair is a must. Visiting the Toy Fair is a rare opportunity, because it is not open to the public; our guests are allowed to visit the fair because we get them in as employees. The fair is a treat for our eyes. The manufactures booths are incredible with all the new products, all the layouts and dioramas – we will be like kids in a candy store. Many of our guests requested a 2nd day at the Toy Fair. So here it is. 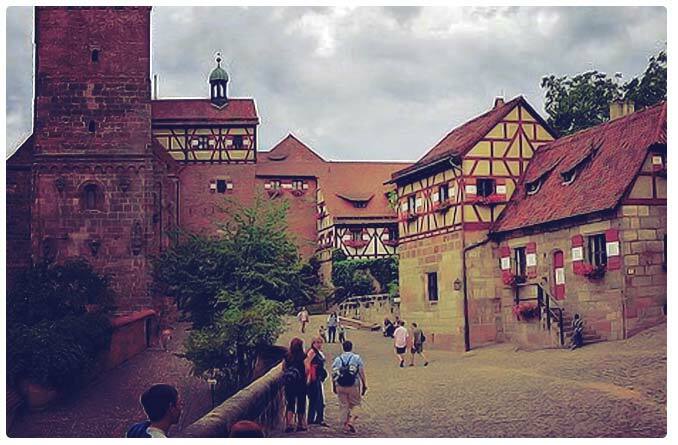 For everybody else we will stay in Nürnberg this day and you can visit the transportation museum or any other sites. Some of you want to do some research at the transportation museum’s library. Let us know, what you are looking for and we can make arrangements to have those documents pulled ahead. You know us, there is no ToyFair tour without a narrow gauge steam ride. Our bus will pick us up at the hotel and bring us to Cranzahl. There we will get on our train to Oberwiesenthal. 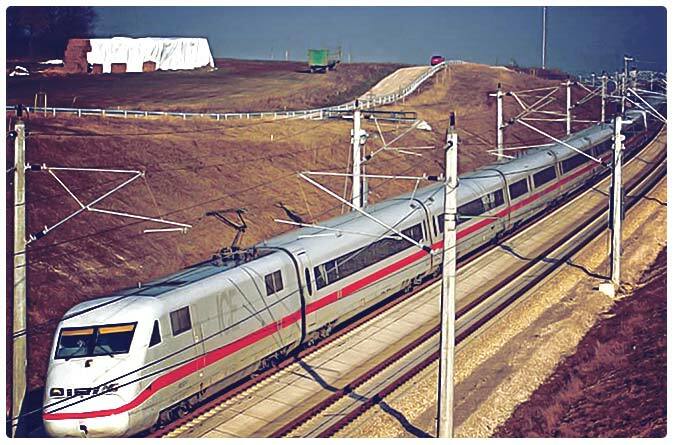 The train must climb over 250 meters on a stretch of only 17 Kilometers. Oberwiesenthal is a spa and winter sport destination. It is also famous for their wooden Christmas toys. Well our days in Bavaria are over and today we will head to Vienna. After we settled in our new hotel, we give you the rest of the day off to relax or do as you wish. 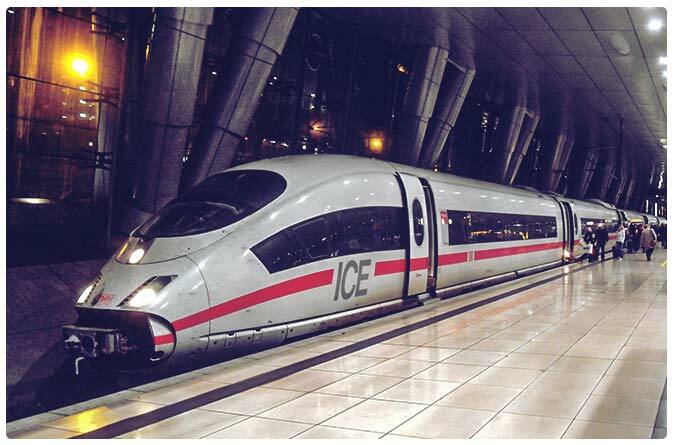 Our hotel is close to the Vienna Westbahnhof, so for all of our train watchers you can walk there and watch the RailJets, express and commuter trains. There is so much to see in Vienna that you can spend many days doing so. We had a lot of good experience with those Hop-on/Hop-off services. Therefore we will use them here too. 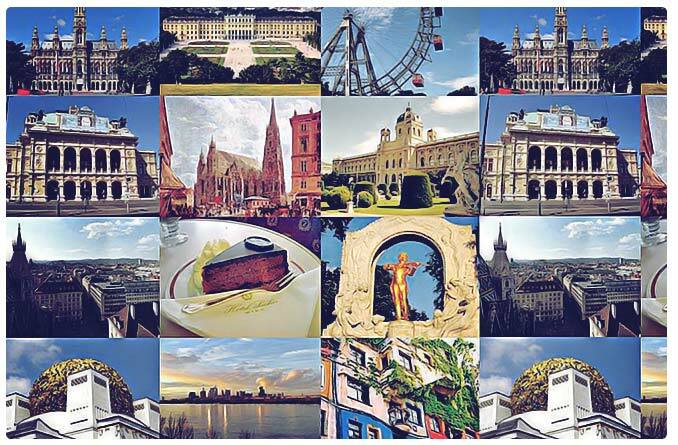 Some of the must-see sights are the Stephan’s Cathedral, The Schönnbrunn Place, the opera house and many more. I will have a list for you of all the places you can see at all the 15 stops. 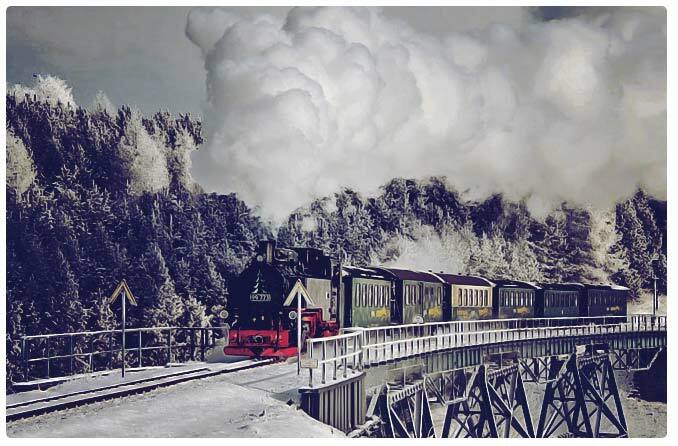 On this tour we have two narrow gauge train ride. This time we take the famous Mariazeller Bahn. We take the Railjet from Vienna Westbahnhof to St. Pölten. This is just a half hour ride and most of the time we are in a tunnel, but we will reach speeds of over 220 km/h. In St. Pölten we have to board our narrow gauge train which brings us within 2 hours into the foothills of the Alps. 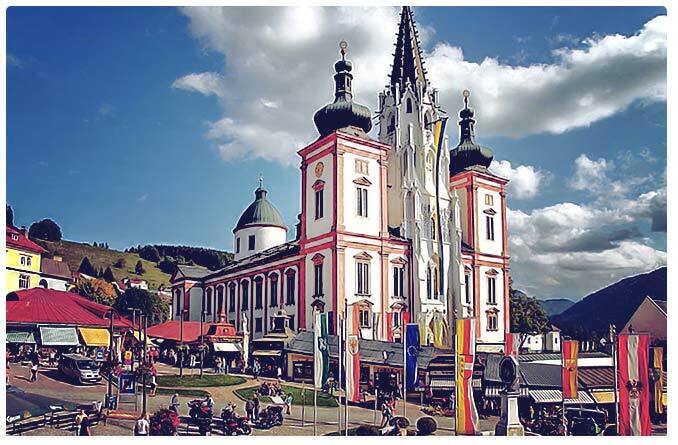 Mariazell is famous for its cathedral which brings thousands of pilgrims to this little town every year. Even the last 2 Popes visited that jewel tucked away in this sparsely populated area of Austria. 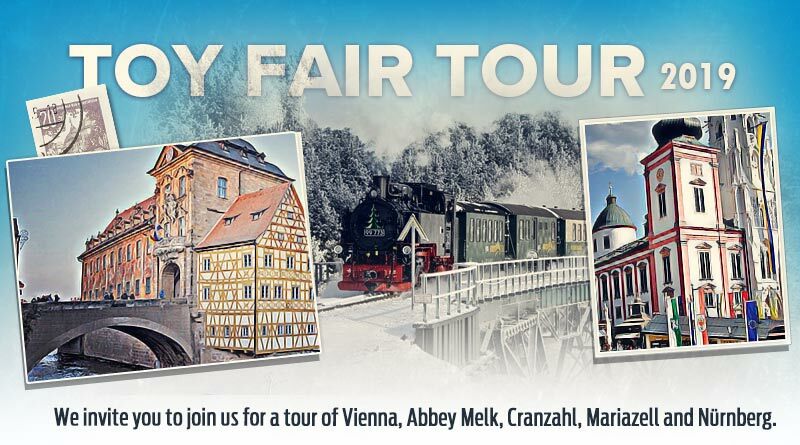 We will spend the last day of our tour in Melk. 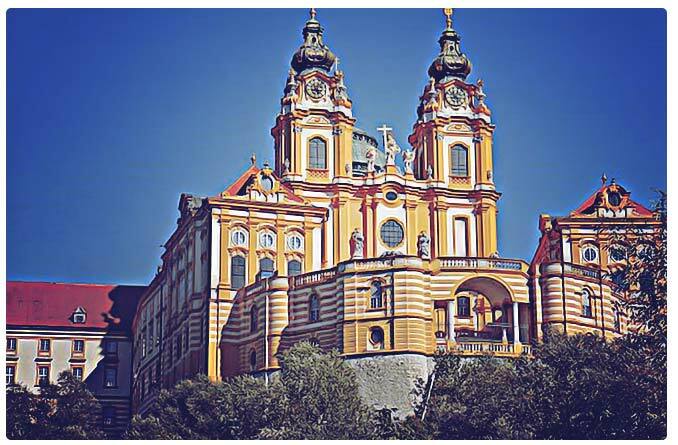 Abbey Melk was the spiritual and scholastic center of Austria for centuries. Within an hour the train will bring us from Vienna to Melk. Our guided tour will include the Imperial Rooms, the Marble Hall and the library. We will have dinner in Melk and hit back earlier, so you have enough time to pack and get ready for our return flight. Like all good things, this tour will come to an end today. Breakfast is really early in the morning with hotel check out to follow. We will transfer to Vienna Airport and fly back home. An initial deposit of $600.00 per person is required to secure reservation. This deposit has to be made by December 15. Seats are limited, so reservations will be made on a first come-first serve basis. Final payment must be made by December 30, 2018. Please contact us before you send any payment so we can make sure that there are still seats available. Rates are subject to change including but not limited to increases in applicable taxes, government imposed fees and exchange rates. All cancellations must be received in writing. Cancellations fees before January 01, 2019 will be $600.00 per person plus any deposits lost to airlines or any other facilities! Cancellation fees between January 02 and January 15 will be $900.00 plus any deposits lost to airlines or any other facilities! After January 16, 2019 there will be no refund for cancellations. No refunds will be made for unused portion of the tour after travel begins. It is the traveler’s responsibility to provide proper documentation of proof of U.S. citizenship. Married women traveling with documentation in their maiden name must supply a marriage license. Failure to possess required documentations may result in denied boarding. No refunds will be made if passengers are denied boarding. For non-U.S. citizens, please contact the appropriate destination embassy or consulate for correct document requirements. Your passport must be valid till September 2019 or longer. Every effort will be made to operate the program as per the scheduled itinerary. Due to local conditions or circumstances, we reserve the right to adjust or alter the itinerary. Reynauld’s Euro Imports, Inc. is not in any way responsible for this tour. Rey and Roman Plaszewski arranged this tour for the enjoyment of European train enthusiasts. Rey and Roman Plaszewski are responsible for arranging the services and accommodations offered hereunder, except in the absence of negligence on their part; Rey nor Roman Plaszewski are not responsible for any act, error, omission, injury to person or property, inconvenience, accident, delay or default of any company and/or their employees, agents, or servants, or facilities in connection with these. It is expressly understood that Rey and Roman Plaszewski are not responsible for any delays for any flight or non-operation of any flight hereunder due to any reasons beyond their control, including work stoppages, labor strikes, or Forces Majeure and shall have no liability of any nature whatsoever relating to flight delays, including (but not limited to) liability for damage related to shortened vacation time, inconvenience or hardship, additional expenses or any other form of damage. By accepting this contract, you hereby relieve Rey and Roman Plaszewski of all such liabilities.